Between Hillsboro Road and Granny White Pike is an established neighborhood of large, wooded lots mixed in with apartment and condominium buildings. Forest Hills is a step even further from urban life with its rolling hills and quiet vibe, but still just moments from Green Hills as well as Brentwood. Homes in these areas range from $300,000 ranch homes to multi-million dollar estates. These neighborhoods are convenient to the universities in the area, downtown, and I-440, making them a very desirable place to live. The upscale Mall at Green Hills as well as the beautiful new outdoor-shopping Hill Center just down the road anchored by Whole Foods and Anthropologie are two favorites for shoppers all over Nashville. The legendary Bluebird Café, where the careers of many country favorites were launched, is located in an unassuming strip mall location in the heart of this region. 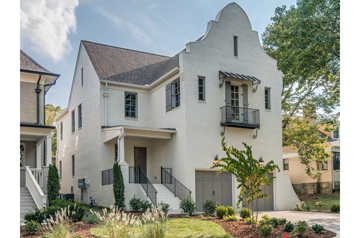 With so much to do, this setting of suburban feel and urban convenience is one of the most desirable locations in Nashville. Learn more about the Green Hills/Forrest Hills/Oak Hill Neighborhoods and their Real Estate Markets here.